Swiss violin maker David Leonard Wiedmer works in his workshop, on February 5, 2019 in Lyon. JEFF PACHOUD / AFP. LYON (AFP).- Meet the man who is trying to make the closest thing you will get to a 21st-century Stradivarius. Award-winning Swiss luthier David Leonard Wiedmer has set himself the task of reproducing the legendary Italian violin at his workshop tucked away in a quayside in Lyon, southeast France. Working from the details of one of the most famous Stradivarius violins, Wiedmer told AFP: "This is the first time I'm making this model so I'm looking forward to hearing how it sounds. "Apparently the original sounds very, very good, so we'll have to find the same features again. It's a challenge." Wiedmer may still only be 29, but he has already made his reputation as a master craftsman. One of his violins won gold at the Violin Society of America's international competition last year. With friend and collaborator Damien Gest, he won gold for one of their cellos. And in the same competition, he picked up silver for his workmanship on a viola. Last year's prizes were just the latest in a series of awards for his work, including a medal in 2015 for one of his violins at a competition in Cremona, the home of the Stradivarius. 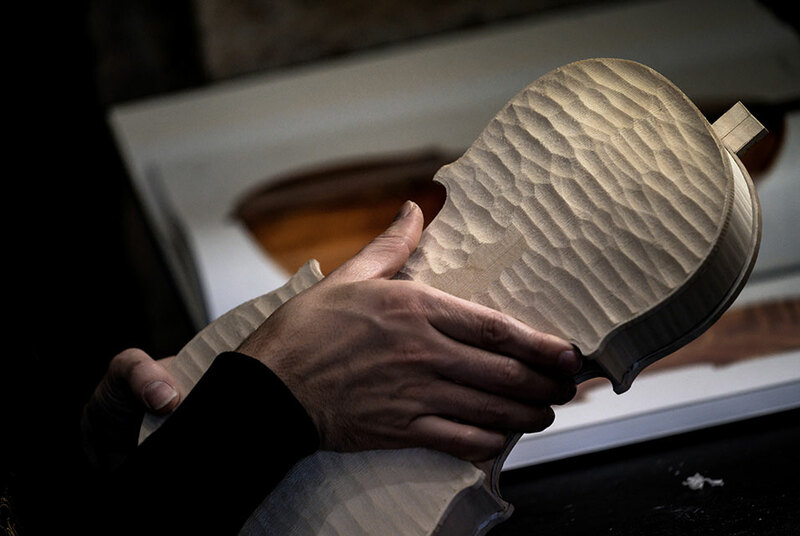 Trained at the Ecole nationale de lutherie de Mirecourt, in eastern France, Wiedmer served apprenticeships in New York -- and London with renowned luthier Florian Leonhard -- before setting up shop in Lyon three years ago. While part of learning his craft involved restoring old instruments, he quickly moved on to creating his own. "Already at school he had an exceptional hand," Gest told AFP. "We were always the first to give up going out with our pals to finish an instrument." At his Lyon workshop, Wiedmer works beside his partner Lea Trombert, a former cellist, who switched to making instruments rather than playing them. And while the work represents an endless challenge, it is one he never tires of. "There is the woodwork, there is the music, the human relationship, the psychology, physics, chemistry -- it's huge," he says. "It's really a constant thought process. I love thinking about it and this is precisely a job where you do only that and there are no answers." It takes him at least a month to make a violin, which will cost between 6,000 and 12,000 euros ($7,000 and $13,600). With clients in Asia, Europe and the United States and an order book full until 2022, he says he has plenty of food for thought -- and little time for holidays.